Absolute waterfront cottage rentals on Georgian Bay in the heart of the 30,000 Islands in the Muskoka/Parry Sound region. We are just a two hour drive north from Toronto. Our 7 cottages are nestled amongst the pine trees with fantastic sunset views providing a perfect get away for fishing, swimming, relaxing, or family vacations. 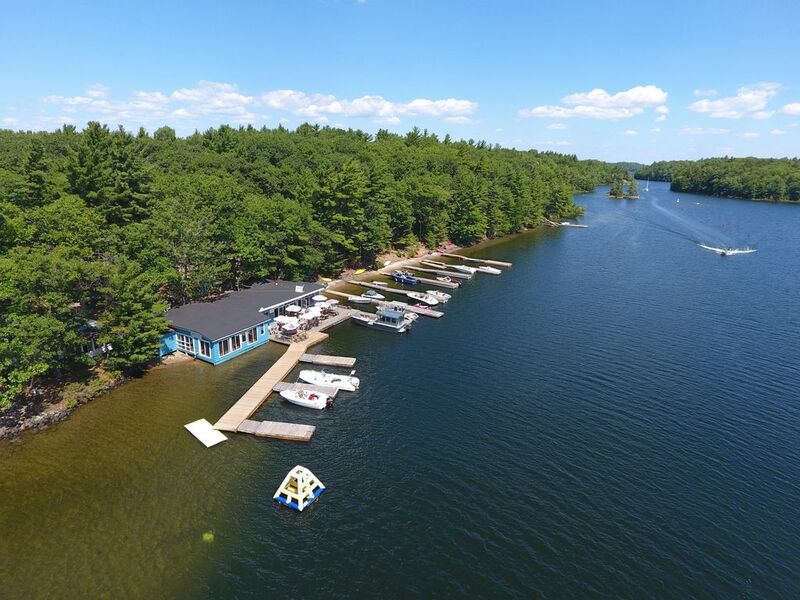 In your cottage are all the amenities you need including fridge, stove, microwave, coffee machine, gas bbq/grill, screened porch, private beach area and fire pit. 2, 3 and 4 bedroom cottages available. The property has a sandy beach and good swimming. There are canoes, kayaks and pedal boats free for your use. Motorized boats are available for rent. We are in the sheltered waters of Georgian Bay where the water is calm. There is excellent fishing in our area with lots of protected weedy bays, rocky shoals, deep drop offs and sheltered water. We fish for Bass, Pike, Pickerel/Walleye, Musky and Lake Trout. Let us make your vacation one to remember! The town of Parry Sound is only 15 minutes away but you won't want to leave the relaxing island setting!! Located on McLaren Island in the South Channel, 7 Mile Narrows, Georgian Bay just 15 minutes by boat from Parry Sound. Your car is left at the safe marina and the ride to and from the property is included in your rental. We provide one taxi onto the island and one taxi off the island included in your cottage rental. We have owned and operated Craganmor since 2000. There is something just so magical about Georgian Bay and all the great people we meet and see each year. We invite you to share in our little piece of paradise! We will welcome you with a warm smile and always do our best to provide you with quality service at affordable prices! All our cottages are less than 50 feet from the lake with a clear view of the water. A lot of the cottages have a sunset view. Available in the restaurant building. and Pedal boats. All are free to use. We rent motorized boats for fishing or sight seeing.